The Golem is a very strange novel, written by a very strange man. 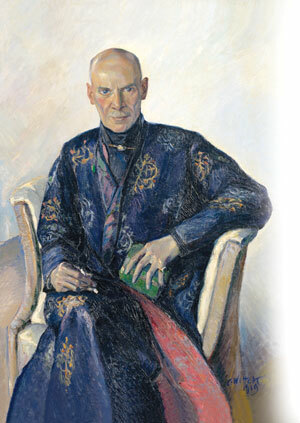 What makes it so strange is that Meyrink (1868-1932) based many of the occurences in the book on his own experience. It’s pretty hard to categorise the novel: it’s a horror story and a romance, a murder mystery and a stream of consciousness. 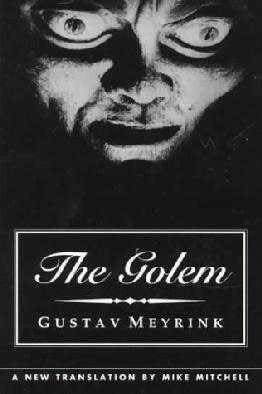 Set in the Jewish ghettos in the city of Prague, Meyrink weaves a dark, noir-ish tale of the occult, of a Kabbalistic supernatural force, the Golem, who dwells in a room without doors or windows. The creature is also the doppelgänger of the hero of the novel, Athanasius Pernath, haunted by a past he would rather forget, and clinging to the memories of a mysterious woman whom he thinks he has lost. Meyrink’s sympathy for the persecution of the Jews, his dabblings in the occult, his suicide attempt and his spell in prison are all brought into play. It is his depiction of Prague, expressionistic and foreboding, which dominates the novel. It is what stayed with me upon finishing the book – the characters exist like figures from a Tarot card – the mute puppet-maker, the hideous pawnbroker, the revenge-bent student, the beautiful Jewish girl, the mysterious femme fatale. And lurking in the shadows is the Golem, who almost comes to stand for the mutable, threatening city of Prague itself. Meyrink was a master of occult decadent literature, and this novel is often cited as his masterpiece. It’s the kind of book that makes you want to look further into its subject matter once you finish. It also inspired Wegener’s famous silent film, Der Golem, in 1920 (it should be noted that the film is not a retelling of the novel, however). I would definitely recommend it.